When your roof has been damaged and you are looking at a replacement, the process can be very daunting. Many homeowners are unaware that they may have insurance coverage to help pay this expense. Insurance companies have a vested interest in protecting your home, and your home’s roof is the potential gateway to much further damage and claims once it is breached. If you have a damaged roof, here are some helpful tips that will get you ready to file a roof replacement claim with your insurance company. 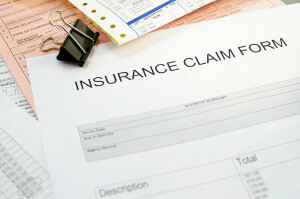 If you’re not sure what your coverage includes, find your property insurance policy documents and read them carefully. If you are unable to find these documents, be sure to contact your insurance provider or agent for explanation. If you have a replacement cost policy, you may be covered for the expense of replacing or repairing the damaged section of your roof regardless its age. Other policies will consider the age of the roof at the time of damage, and the amount paid for repair or replacement will apply a depreciation value as an adjustment. It is important to get the claim process started as soon as possible to prevent further damage to your home. Be sure to keep in mind that your policy may require notification to the insurance company within a certain time period for a claim to be valid. In most cases, the insurance company will require documentation of the claim and will likely send out its own inspector to view the damage. It is always a good idea to have a full set of “before” photos of different aspects of your home on file. As your claim progresses, keep your own file of “after” photos of damages, copies of estimates that you’ve received and bills that need to be paid. Generally, you will be able to select the roofing contractor that does the work on your home. It is important you find a contractor who is both reputable and knows how to work with insurance companies and the roof insurance claims system. While having a damaged roof isn’t at the top of anyone’s list of desirable events, many claims are covered by your homeowner’s policy if you file notice promptly and partner with a reputable, local roofing contractor. If you have specific questions about filing an insurance claim for your damaged roof, contact Atlas Home Repair and our skilled staff will be happy to assist you.